Introduction to residential construction includes four consecutive 4-week courses in framing, finish carpentry, electrical and plumbing, leading to Certificate. Prepares students for workforce and credit Construction Technology program. Construction Framing | CT NC001|This is a beginning course in residential construction framing (housebuilding). Take as a stand-alone course or as part of a 4-course series of construction classes. 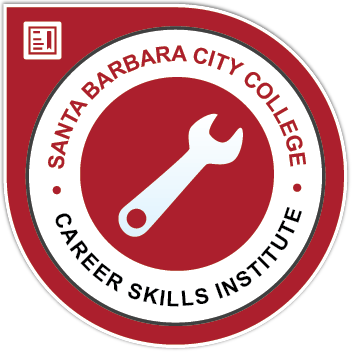 (It is a good transition course to the credit Construction Technology program at SBCC.) Topics include the framing of floors, walls, ceilings, and roofs, and job site safety. Construction Finish Carpentry| CT NC002|This is a beginning course in residential construction finish carpentry (housebuilding). Take as a stand-alone course or as part of a 4-course series of construction classes. Topics include introduction to hand and power tool use, scope of residential finish work, base/case, crown, closets, doors. Construction Electrical Catalog Course |CT NC003| This is a beginning course in residential construction electrical work. Take as stand-alone course or as part of a 4-course series of construction classes. Topics include intro to home electrical systems, electrical and job-site safety, tool use and materials identification. Construction Plumbing Catalog Course Description |CT NC004| This is a beginning course in residential construction plumbing. Take as a stand-alone course or as part of a 4-course series of construction classes. Topics include intro to home plumbing systems and materials, working with piping, installing fixtures, and trouble shooting.